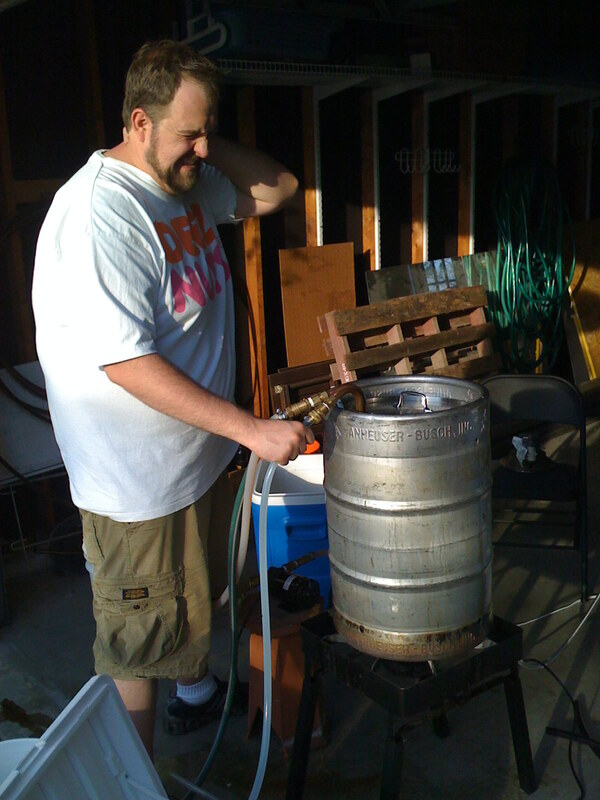 Had a good brewday on Sunday. I didn’t boil quite vigorously enough, so missed my OG on the Lemon Coriander. 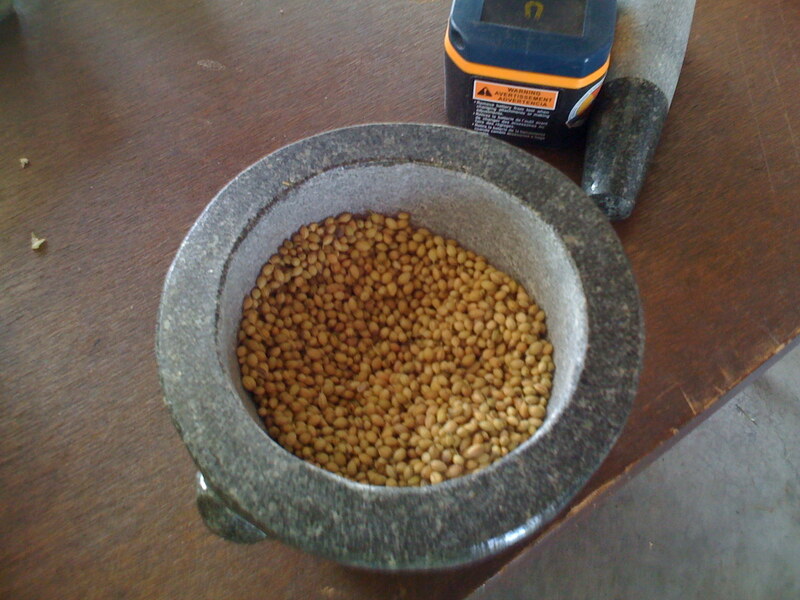 Hit around 1.050, was shooting for around 1.056. 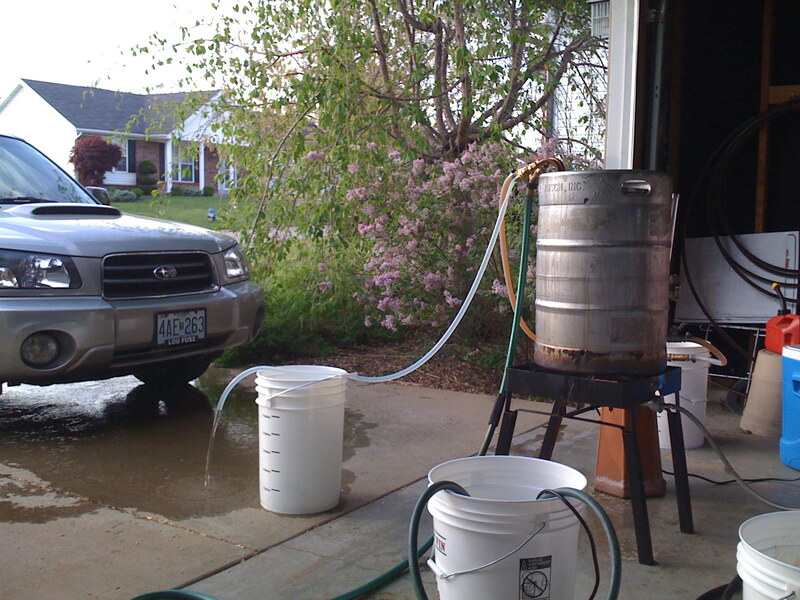 Ended up getting 15.5 gallons instead of 15, so efficiency for that volume is still around 77%. 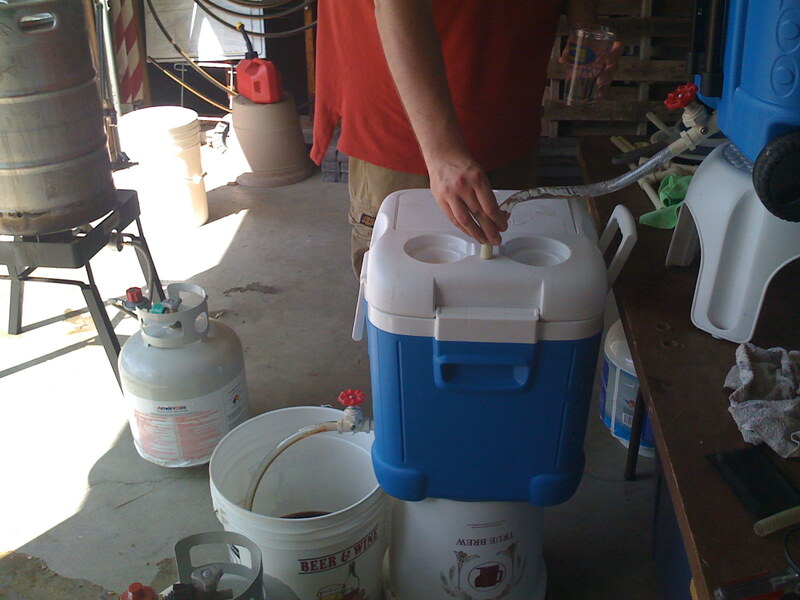 Pre-boil gravity was right on for 83% efficiency @ 15 gallons, so need to crank up the boil next time. 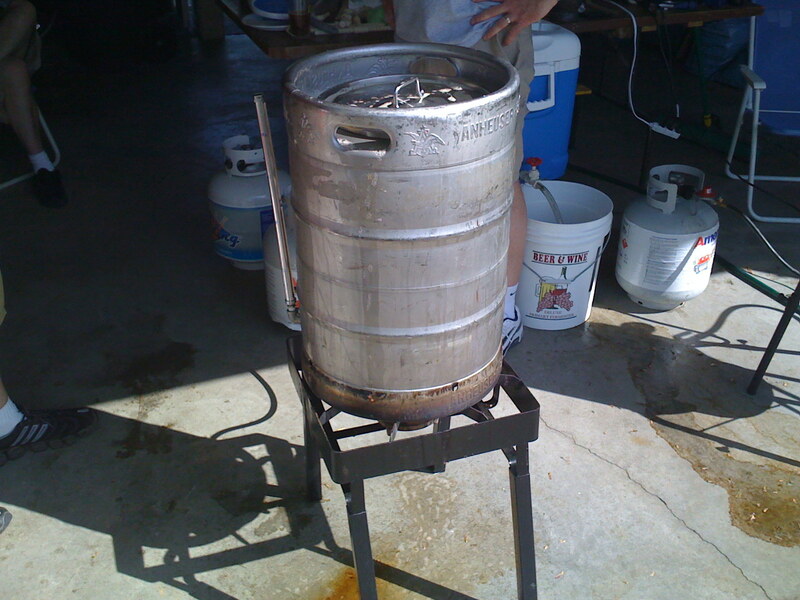 We had a small boil-over on the Vienna Lager. 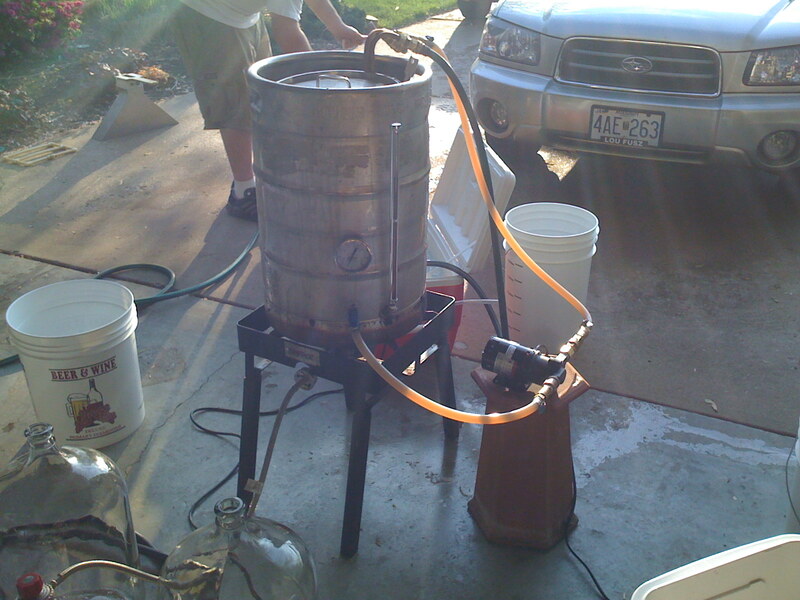 It came out at around 1.053, was shooting for 1.051, so a good efficiency day there. 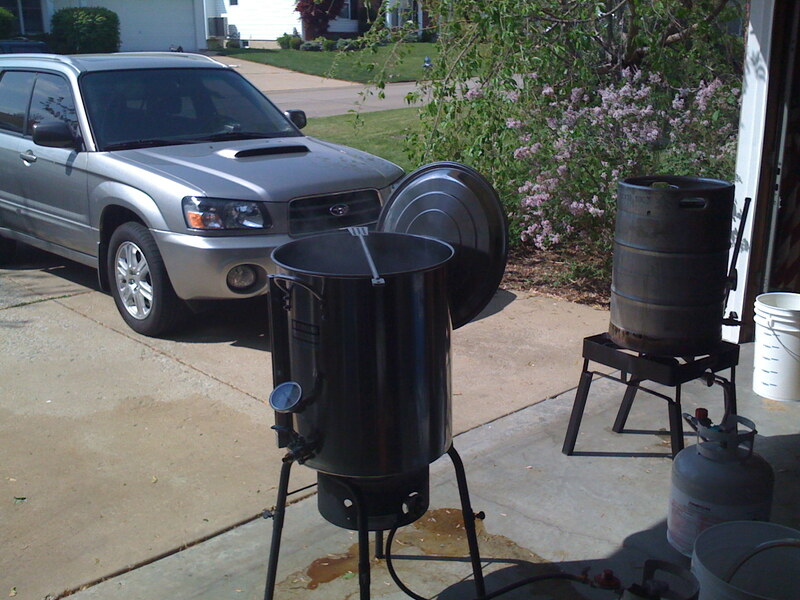 Overall, a great day to brew. 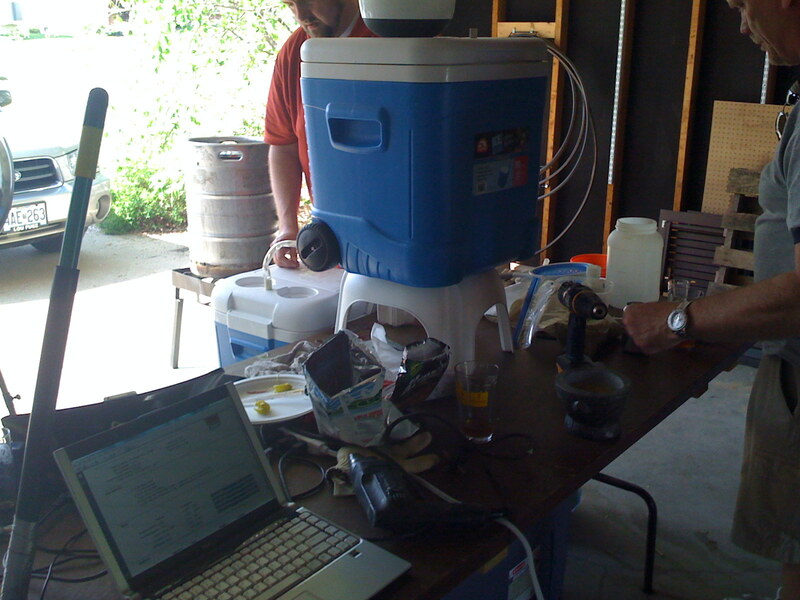 The white labs Mexican lager yeast is shredding through the Vienna lager right now. I suppose building a 4L starter on top of the yeast cake of another 4L starter did the trick. For some reason I still think I’m short a little bit but it showed activity within 12 hours so I’m cool with that. We’ll see how it finished though since the style calls for a 1.012 FG from a 1.051 OG. I’ll ramp up the temp when we’re within 3-4 points a couple degrees to make sure it finishes out and then go for a 4-6 week lager before we start getting wasted off it.